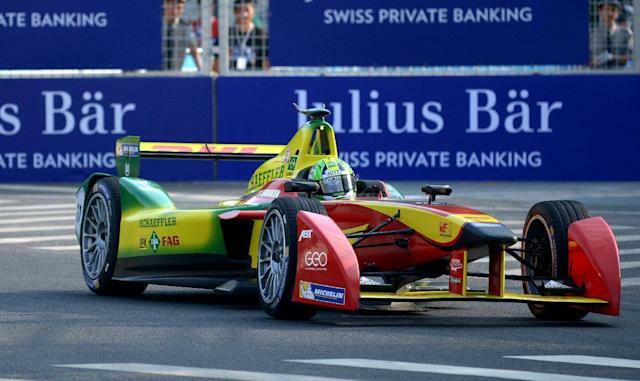 - A spectacular crash at the last corner that ended leader Nicolas Prost's race and sent ex-F1 driver Nick Heidfeld flying into the fencing gave Brazil's Lucas di Grassi victory in the first ever Formula E electric race in Beijing Saturday. Prost told AFP after the race: "I would not have expected for him to have attempted a suicide move at the end of the race. "My victory was stolen. It is really hard."